I’m home now or whatever that means, returning to my family. 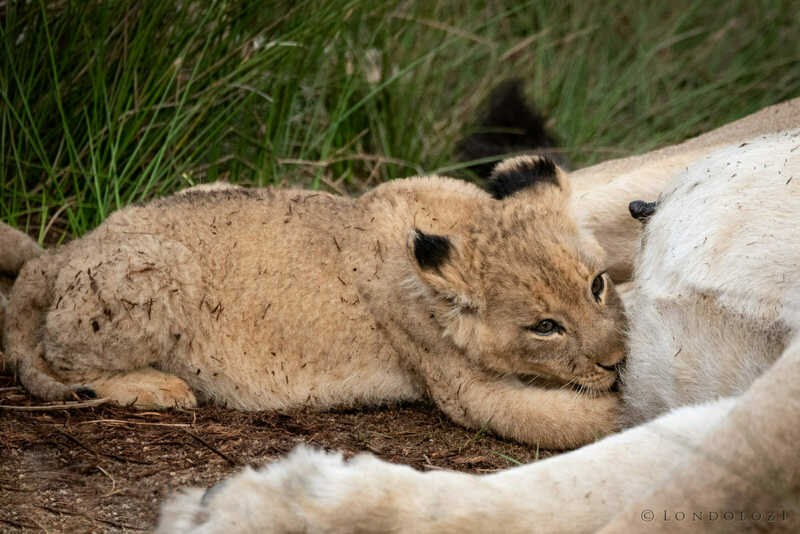 The thrill of being at Londolozi and its inherent families of various animals was only outshone by the staff I met; each a contributor to my unique experience in this part of the Sabi Sand Reserve. 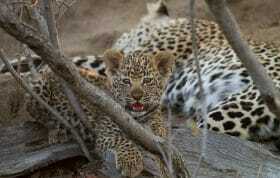 Leopards; one of THE reasons to return to Londolozi. Traveling to Sabi Sand a couple of weeks ago was not my first adventure there. 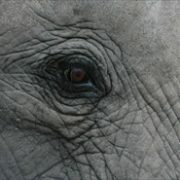 My first trip occurred 18 years ago, after a couple of other forays into Eastern Africa, Botswana and Zimbabwe. 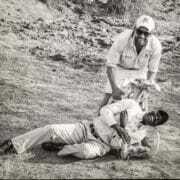 However, that 2000 trip changed my outlook into safaris and how I came to experience this life in the bush. My last safari into this region was in February, 2017 – I knew it was not my last voyage there. 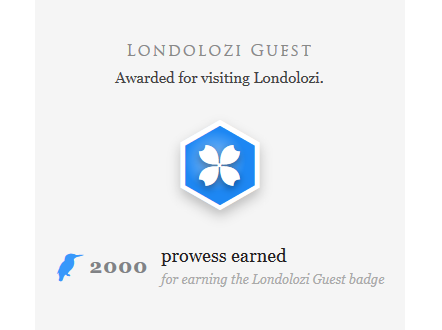 Following the Londolozi blogs for the past 18 months whetted my appetite for another trip. Traveling 34+ hours and across 10 time zones I finally reached this magical kingdom. 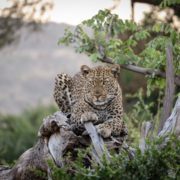 I went in search of leopards, lions, perhaps a cheetah or two, and the elusive black rhinos. Eight days in Sabi Sand fulfilled all my dreams, save for the cheetahs so that will have wait for the next time. 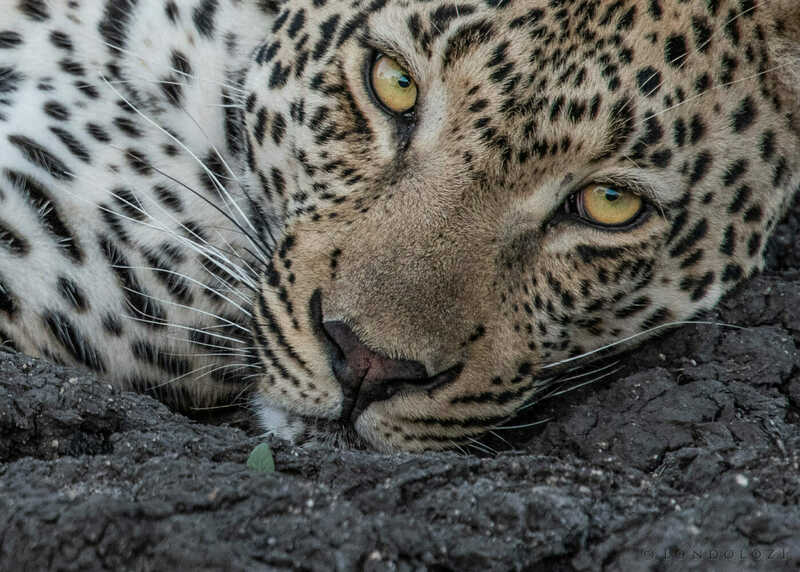 What I discovered at Londolozi was so much more than photographing the game I had longed to see. 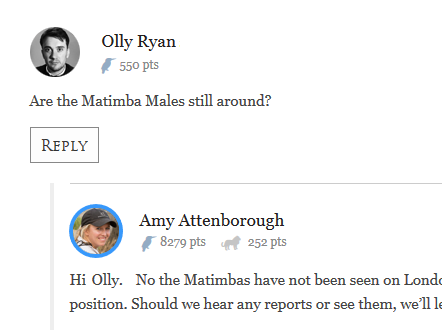 One of the Birmingham males. I was really hoping to see one of this currently dominant coalition. 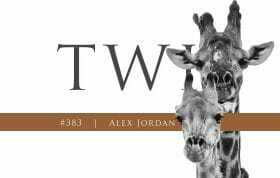 I travel on my own, so am usually the odd man out on game drives, etc. But, from the moment I was delivered to Founders Camp by Samuel, an employee of Mala Mala, I was taken into the fold by Camp Managers Simon and Ben and from that moment I never once experienced any sense of aloneness. I ordered a glass of wine from Remind (the friendliest Butler); Sauvignon Blanc with three ice cubes. After that first order, it was never forgotten. When assigned to a guide/tracker you never know what the experience will be like, nor who your Land Rover-mates might be. I hit the jackpot! 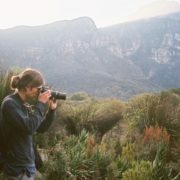 One of my favourite bloggers and photographers has always been Guy Brunskill and there he was – my guide for the next three days along with the best tracker, Shadrack. They delivered! On our first afternoon we time spent with the Ndzanzeni young male and it only got better from there. 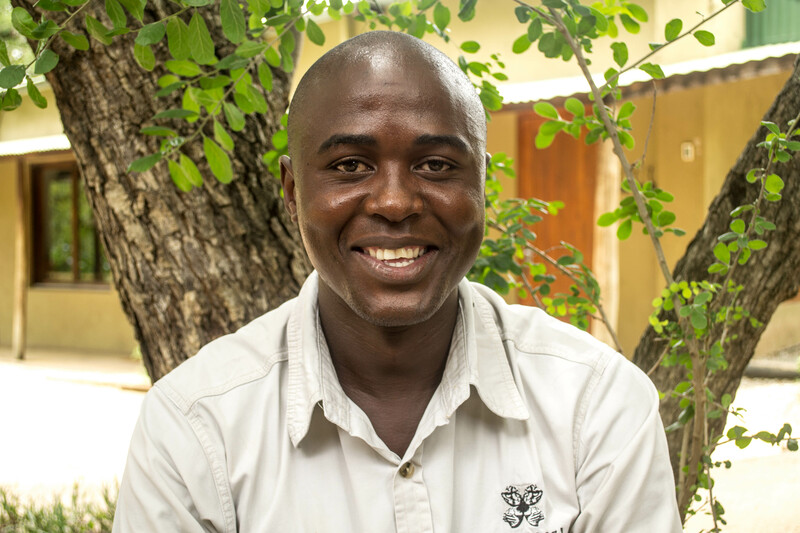 Shadrack Mkhabela; Tracker Academy graduate and rising star in the tracking world. But the terrific staff did not end with my guide and tracker. When I tangled with a thorn branch, ripping into my tender, swollen skin from the heat, Anna the doctor was called to my room to administer some salve and sooth my concerns about the thorn embedded in my ankle. Kylie in the photography studio was an amazing aide in unearthing more tools to use in Lightroom. My dinner with Kim, the wine aficionado, was uniquely special – her bringing a very special SB to dinner. And so my days within Sabi Sand ended perched on the side of my plunge pool, legs dangling in the cool water, glass of my favourite beverage next to me and hundreds of memories crowding my brain, seeking a place front and centre. 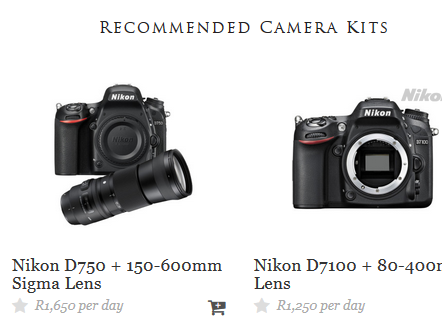 How can I choose? It was all perfect. Please enjoy a few of my photographic souvenirs. 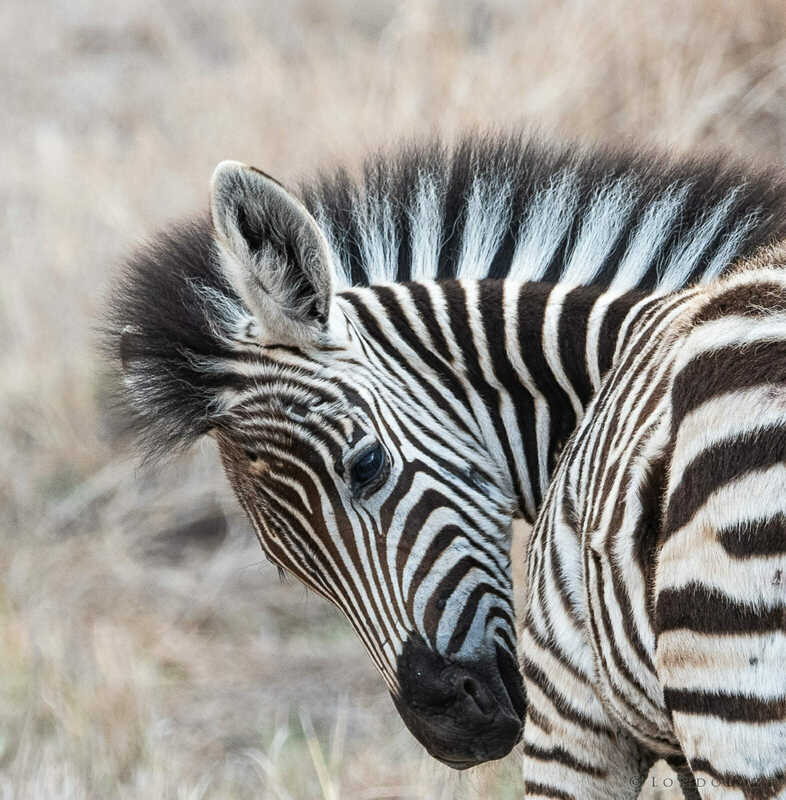 A young zebra turns to groom itself in a hard-to-reach spot. A bull buffalo cools down in a pan while some attending oxpeckers look for ticks on its face. 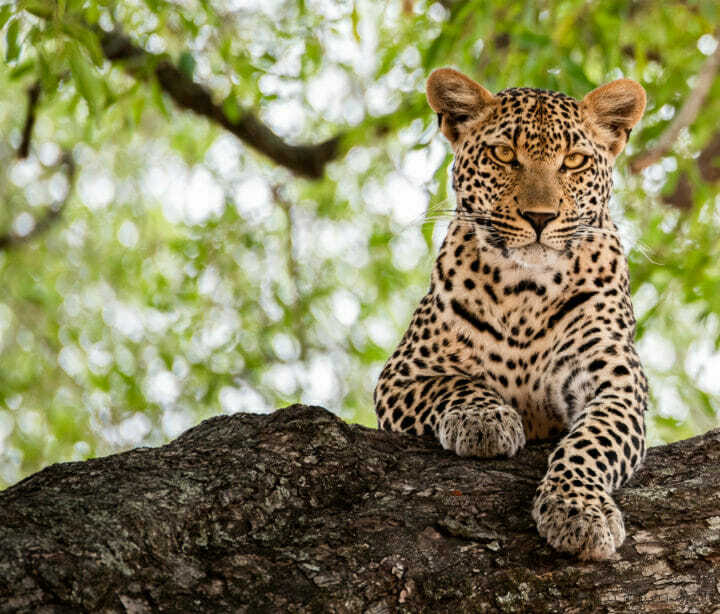 The Ingrid Dam female peers down from the branches of a Jackalberry tree. 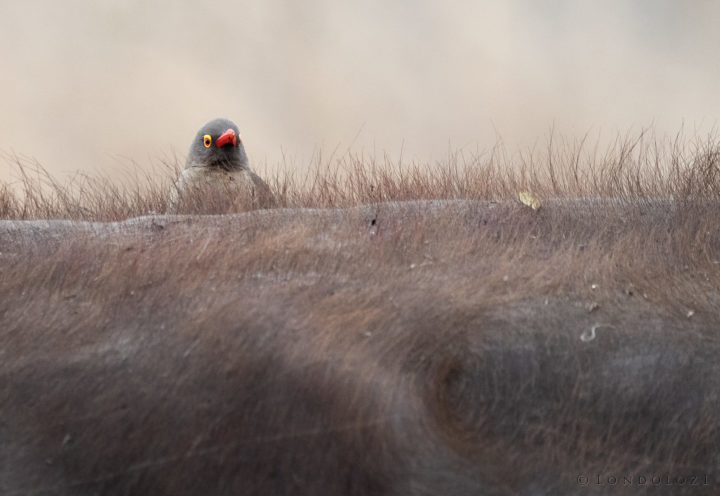 The ever-present red-billed oxpecker. 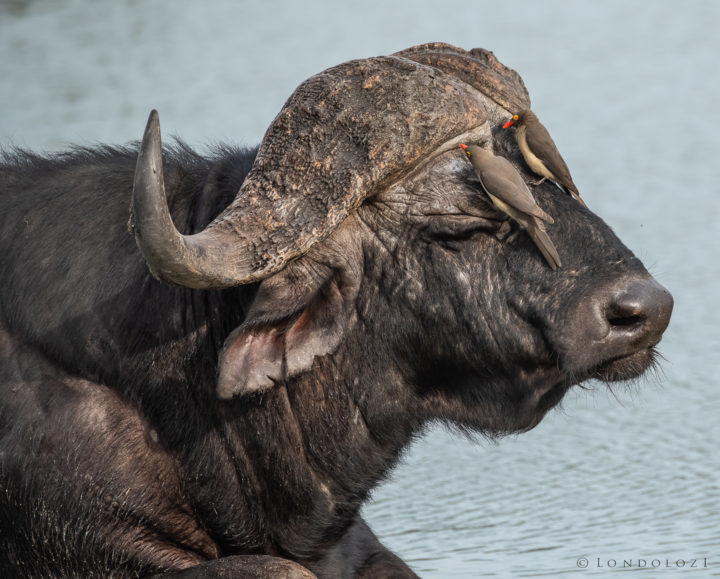 This one was also riding on a buffalo’s back. 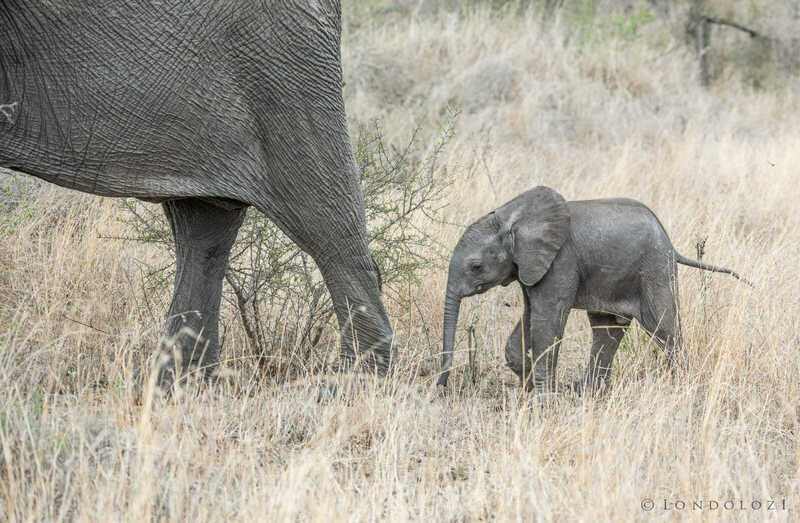 I was fortunate enough to see some tiny elephant calves during my stay. Two of the Mhangeni pride’s latest cubs. One of the cubs nurses from one of the adult females. I was fortunate to have my visit coincide with a spectacular full moon. The Ndzanzeni young male goes eye-to-eye with a hippo bull in a shallow pan. Another shot of the Ingrid ~Dam female from the sighting above. As well as young elephants, we were also blessed with a number of sightings of young rhino calves. 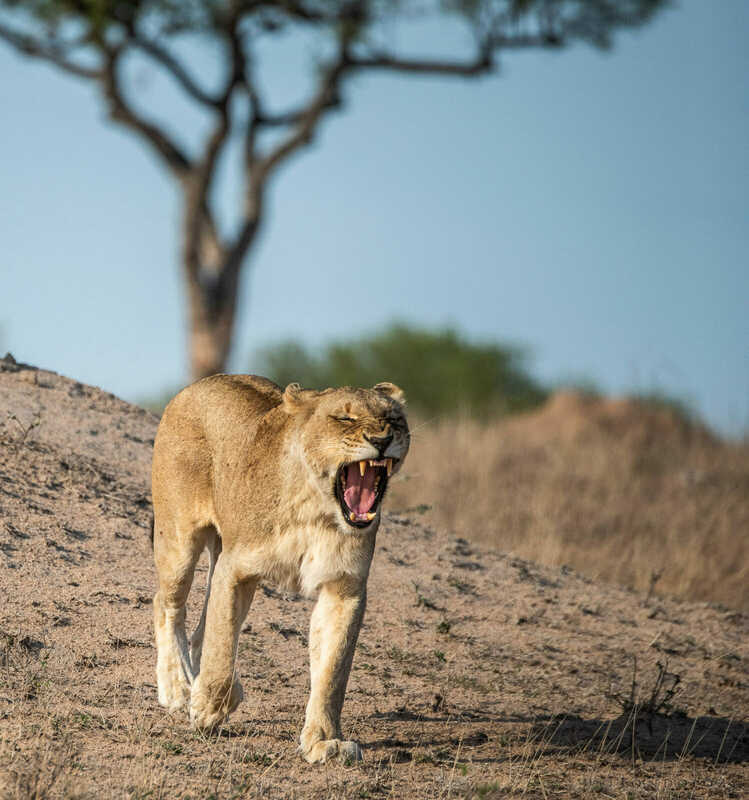 An Ntsevu lioness yawns as she gets active. 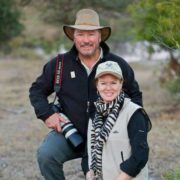 California native, travel junkie, animal lover...... have traveled to Africa a half dozen times to fulfill my lust for observing animals in their natural habitat. 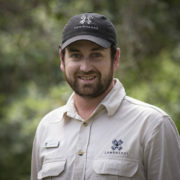 Looking forward to spending some time at Londolozi in the near future. A lovely experience Denise. Love your images. They are stunning. Thank you Marinda. Meeting and dining with you daughter was a highlight of my stay. She is so friendly and extremely knowledgeable about wine. 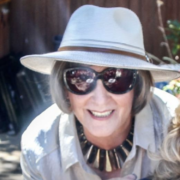 I know as I worked for a winery for four years as director of the visitor center, executing the tours/tastings and special events in the Napa Valley, California. 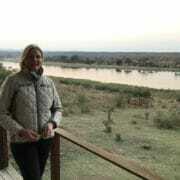 She’s a wonderful asset to the ethos of all Londolozi represents. Thank you for your kind words Denise. We are very proud of her. Nope. Sorry. 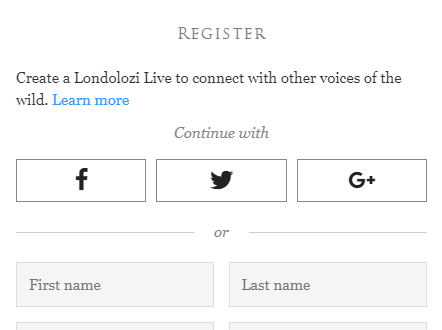 I left my heart at Londolozi ( but there’s room for more than one there.) First visit in 1982 when we were expats in South Africa( left in 1985)…..
However….I have made five trips since 2010 from Honolulu….beating your travel time by about six hours (time it takes from Honolulu to LAX. Worth every single minute of travel! Great narrative (sorry about the thorn attack!) and beautiful photos. I especially enjoyed the portrait of the Ndzanzeni young male – a real beauty! 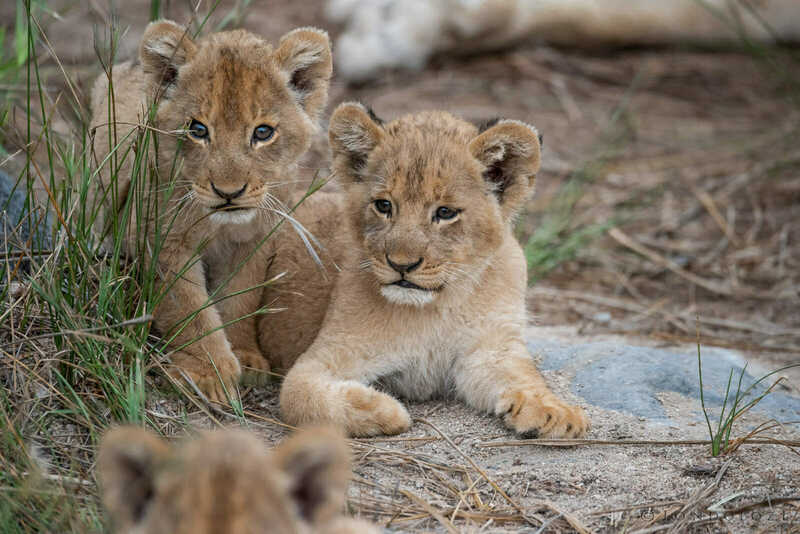 No wonder you’ve left your heart at Londolozi. 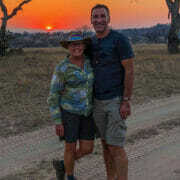 So happy for you, Denise, on your latest safari to Londolozi. Your blog caught my attention immediately when mentioning that you were a solo traveler to this renoun location. I will be too and often wondered if I might be “the third man out” as you say, but always supplanted that thought instantly with the fact that I am fulfilling a lifetime dream and it would be worth moments of aloneness. 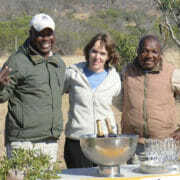 Londolozi’ standards are so high that I knew the staff would be more than top notch. But it’s within these unique situations that they prove it. 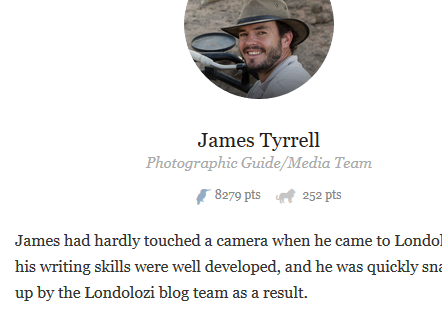 I hope to gladly meet them all, especially James Tyrrell, who often blogs very thoughtfully and has a great sense of humor. Thanks Denise for sharing your happy experience and unique photographs. 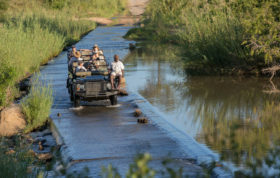 Independent world travelers share a kindred spirit with the roadmap of Londolozi firmly stamped on our hearts. 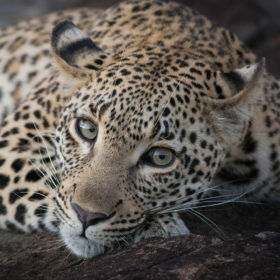 Beautiful words and pictures, I’ve been three times to Londolozi and am never disappointed .Cant wait to return , hoping to go for my 40th wedding anniversary in 2020! Great job capturing the experience of those who have visited multiple times. Those who have never visited continue to wonder why we return. We find it difficult to respond to adequately describe the passion. Excellent article Denise, your photos are stunning. Kylie’s talents in the photography studio are something that every guest should take advantage of. 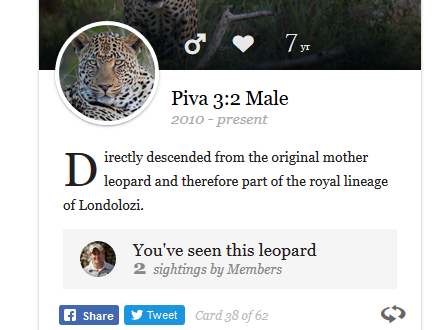 Change some of the names in your story and it could very well be a narrative of our time at Londolozi. Although neither my wife or I tangled with any of those nasty thorns! Sorry to hear about that “adventure”. 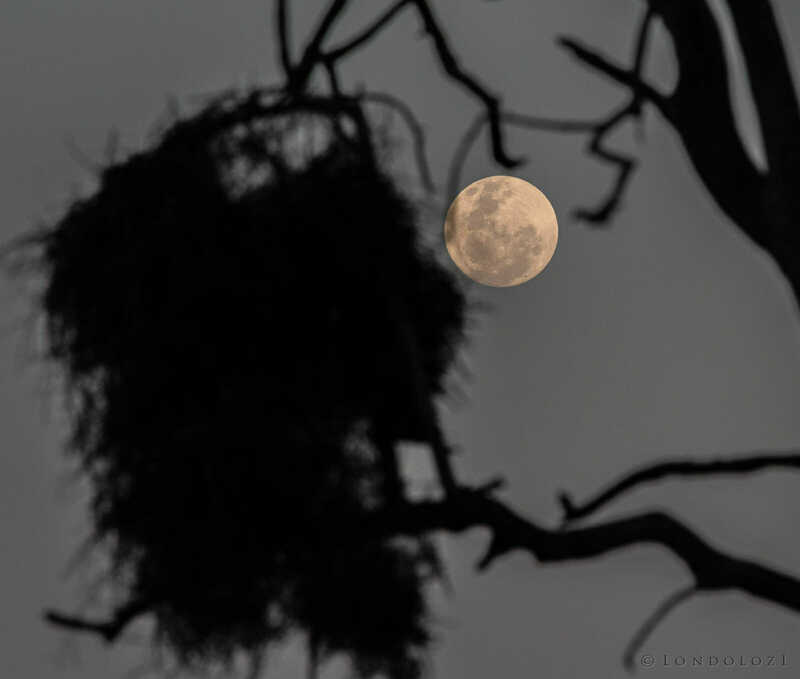 Londolozi is such a magical place, I can’t wait for our return visit. Dear Denise, a wonderful story and awesome pics! 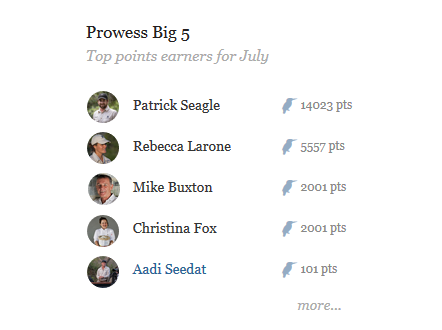 Thx for sharing here. 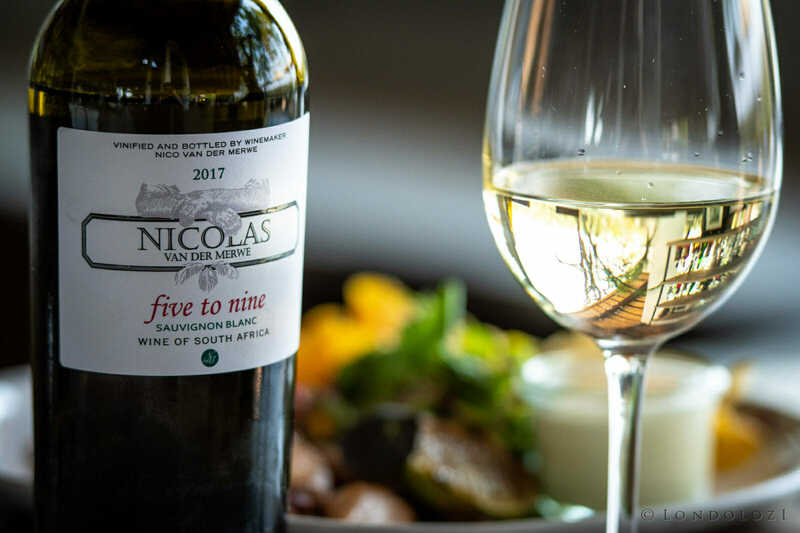 I identified very well with your comment about the “odd man ….” 😉 Also, I confess being superficial – I perfectly understand your Sauvignon Blanc experience. 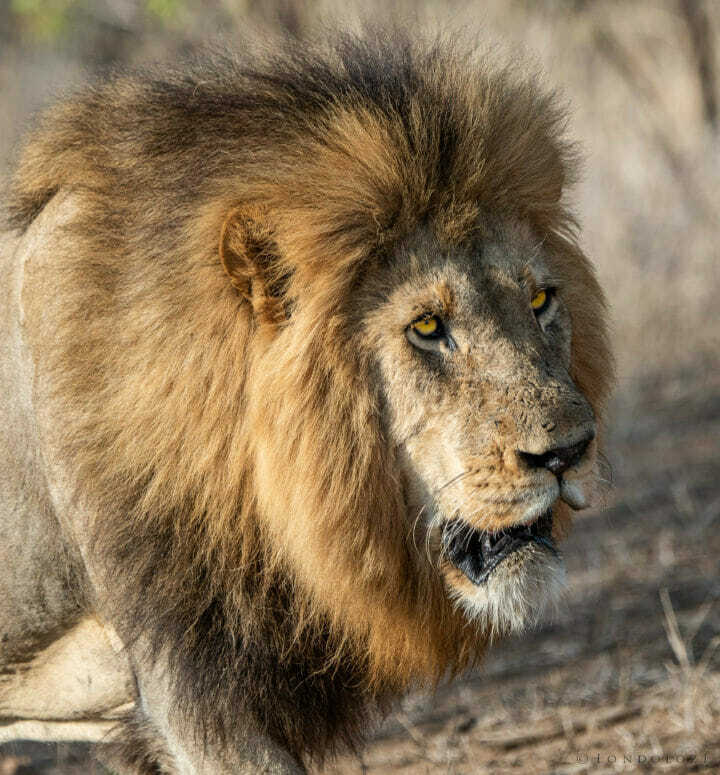 And yes, the Londolozi team is remarkable and unique; a great blessing to be there. Nevertheless I wanted to express all the respect and thankfulness to the neighborhood – Lion Sands. The team around Ronnie hosted me perfectly well since they knew I could not find a space on Londolozi last time when I was visiting Sabi Sand area. 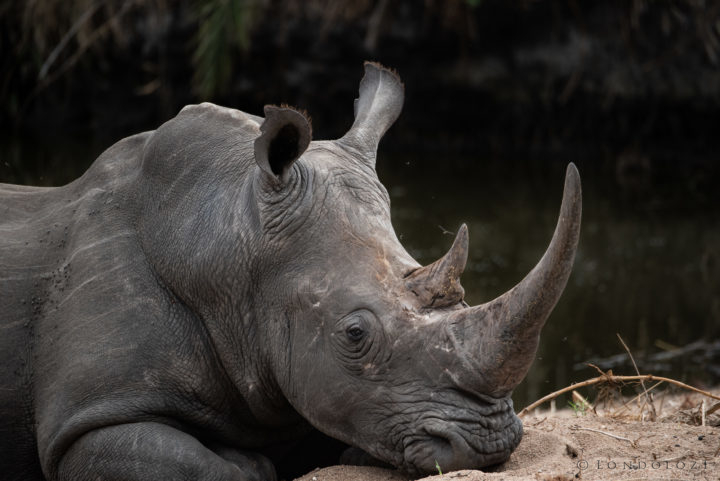 Karl, I enjoyed a fabulous 3 days at Sabi Sabi prior to Londolozi on this trip, where I watched and photographed my first black rhinos. The staff was equally friendly, caring and knowledgeable. I also love Singita where I have explored most nooks and crannies since 2000. 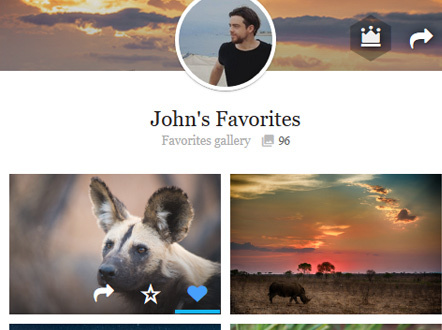 This trip I chose to explore new places in Sabi Sand. Trust me, I’ll be back!! What a beautifully written and touching story of your love for this place and all it encompasses. Thank you for allowing us to share in this personal love. 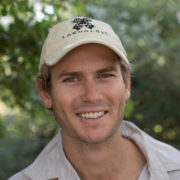 There must be a chalet at Londolozi where all the hearts are kept – yours, mine so many others!! Lovely images, Denise! What a wonderful safari you had! I’m happy for you! What an adventure! 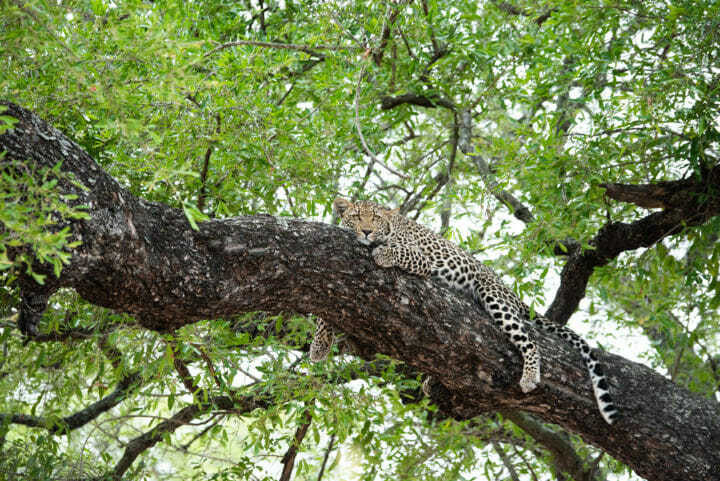 Londolozi is a fantastic place! Beautiful photos!! 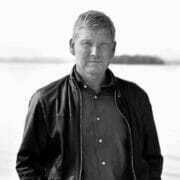 Awesome story, I have been reading the blogs every day for over a year now, I just love reading them and I have learned so much. One day I hope to visit SA, it will be my dream come true. Thanks for sharing your story and pictures. 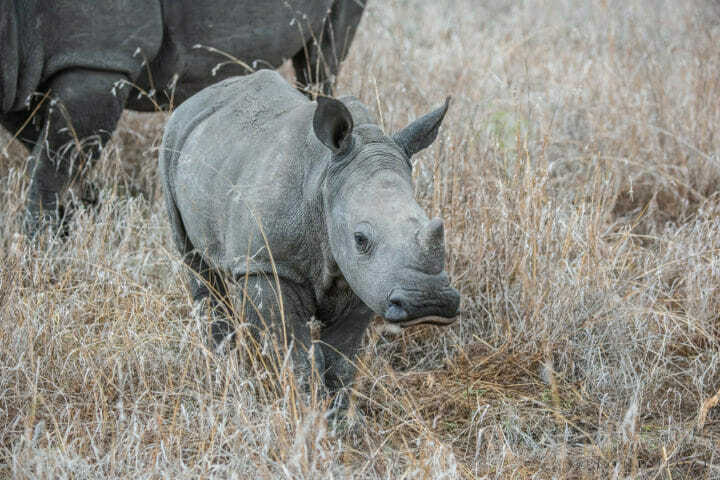 Denise, Thank you for your post describing your awesome stay with the awesome staff at Londolozi. It invokes great memories and I love your photos. 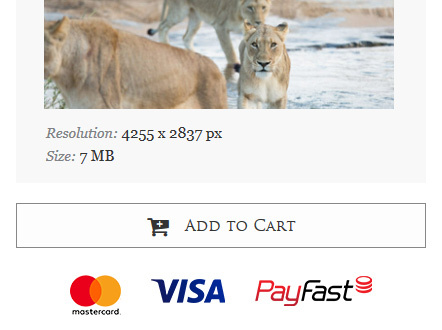 I especially love the zebra shot. 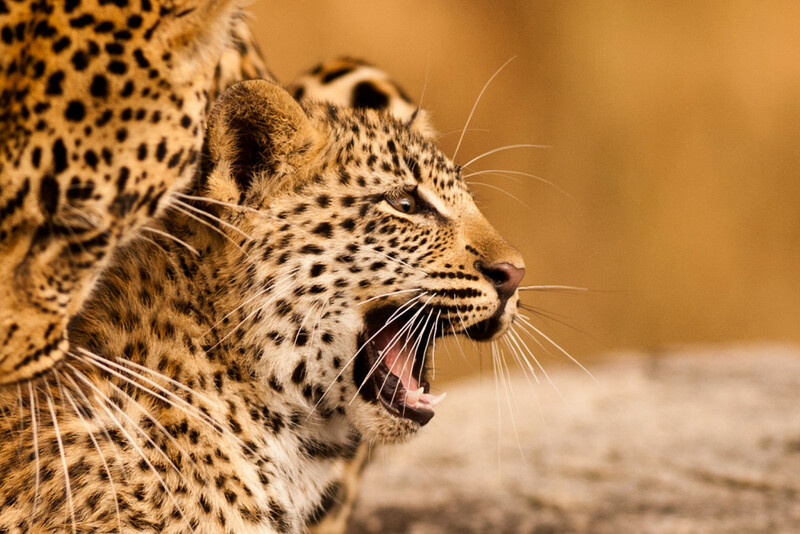 Happy New Year to you and the Londolozi folks! Denise, you hit it right on the nose. 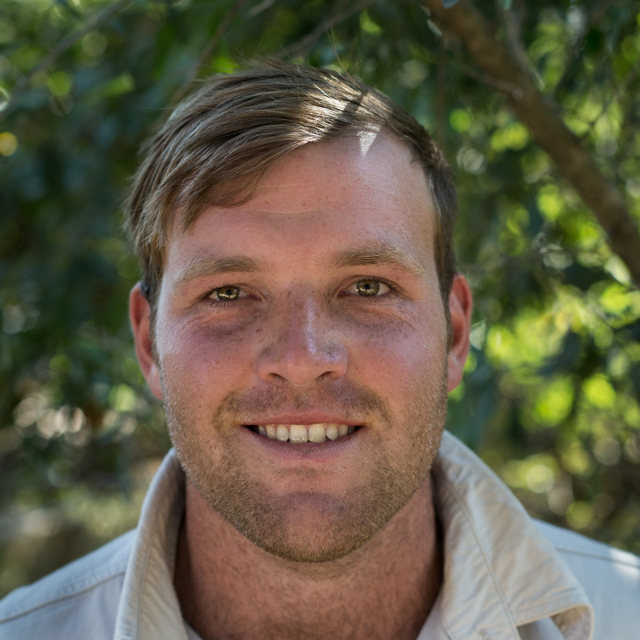 It is the people that makes Londolozi so unique. Like you, we have travelled to many parts of Africa to multiple lodges. There are none that match the experience at Londolozi! Every time I leave a wild place, I feel as if I’ve left my heart there! I know exactly what you mean, Denise. I certainly left a piece of my heart the 1st time I came, and each time I return the bond becomes even stronger. Shamefully, I blub every time when I leave, even though I know I’ll be back! It truly is a magical place.